WELCOME TO THE ROSE SHRINE. Welcome to my section on the greatest Street Fighter character of all time - Rose. This section of the site is designed in giving you all the information on Rose, who she is, her background, and how she fits into the overall Street Fighter story. Rose has had a bad deal, when I choose her people laugh then ask 'Who is that?' She is much taller than the rest of the cast, due to fighting in high heels, but she now returns in STREET FIGHTER 4! Hell Yeah! Thank you to Dorothy who created the excellent artwork on the left. Rose does look very nice! 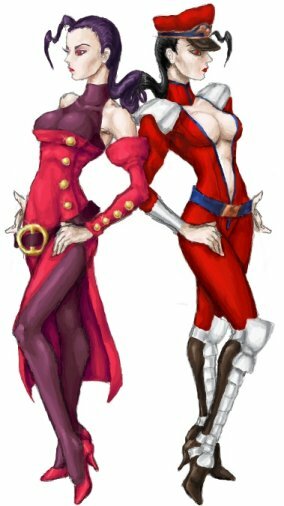 ^_^ in M.Bison's uniform.